One of the objectives of the Authent-Net project is to establish a dynamic and sustainable European information platform, named the "Food Authenticity Research Network Hub (FARNHub)". This platform is a web-based portal where users can get an overview of currently available resources related to food authenticity. This includes papers and documents (scientific or other), ongoing projects, online databases, an overview of funding bodies with contact points, news stories, analytical methods and regulations on food authenticity. The FARNHub application is now available on online on http://farnhub.authent.cra.wallonie.be/ for search and view content. By giving open access to this web tool, all possible users who have an interest in food authenticity (funding bodies, industries, regulatory authorities, research organisations and other stakeholders) can benefit from the hub and its content. A map available on http://www.authent-net.eu/AN_FARNH_click_map.html gives statistics on the number of publications, projects, news, … and includes links to the 14 National status reports and 4 commodity status reports developed by groups of experts from the resources stored in the FARNHub tool. 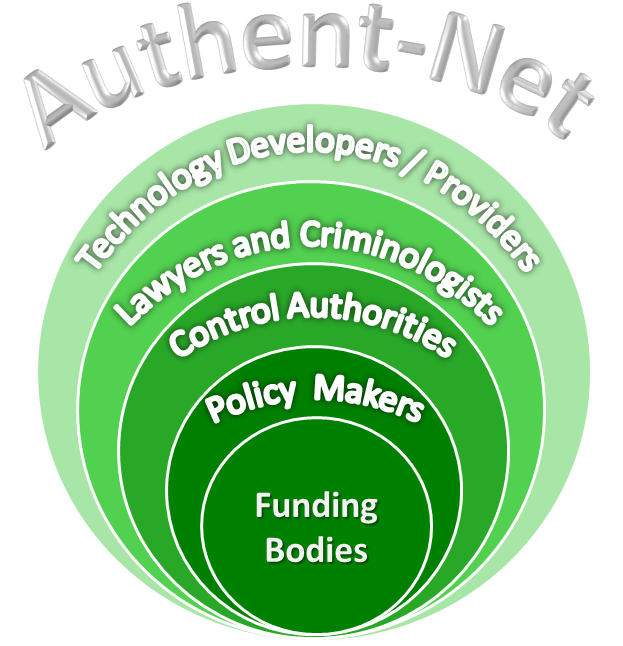 A network of national representatives involved in the Authent-Net project has been created to approve new entries and update the database. “This project has received funding from the European Union´s Horizon 2020 research and innovation programme under grant agreement No 696371”. Disclaimer: The information expressed on this website reflects the authors� views; the European Commission is not liable for the information contained therein.